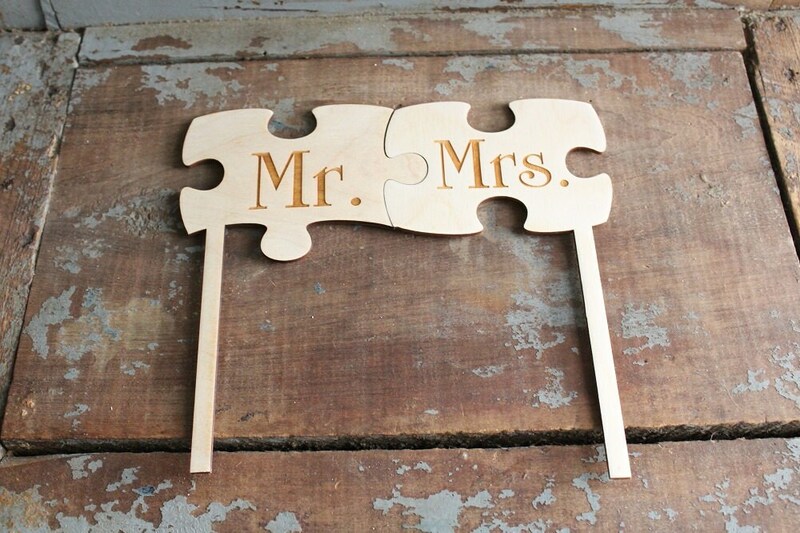 Mr. and Mrs. 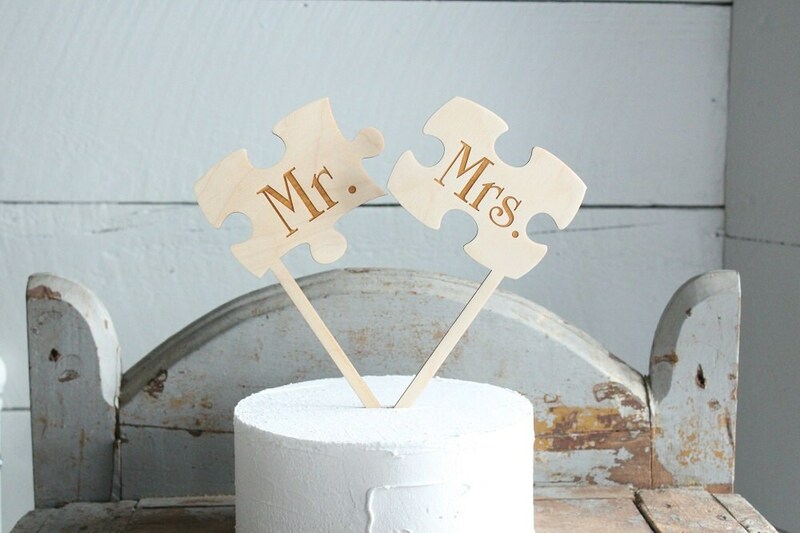 Puzzle Piece Wedding Cake Topper Set. 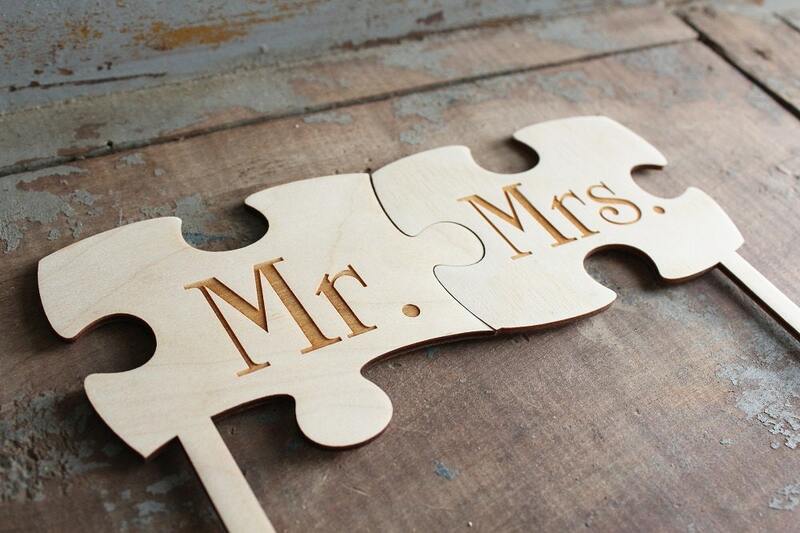 Each puzzle piece has been hand drawn, laser cut and engraved. 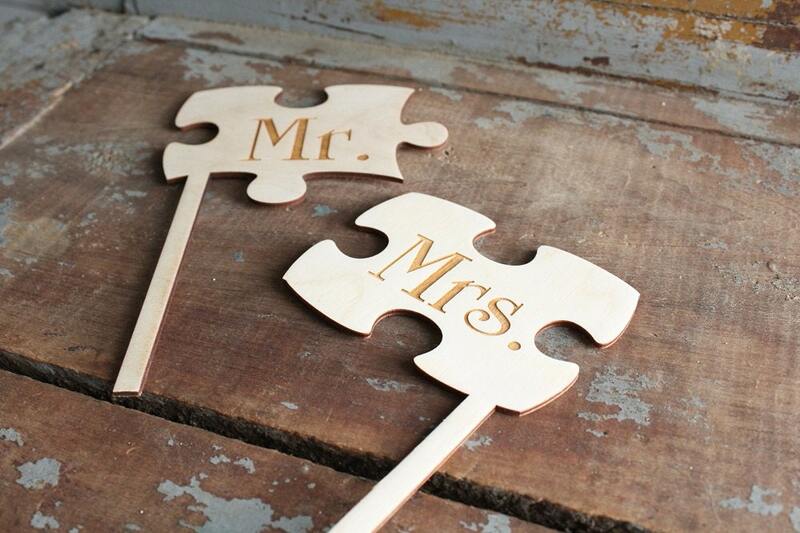 You will receive both Mr. and Mrs. puzzle pieces. So cute! Will look great on our small cake (8in) we are cutting. The cake toppers came out beautifully. 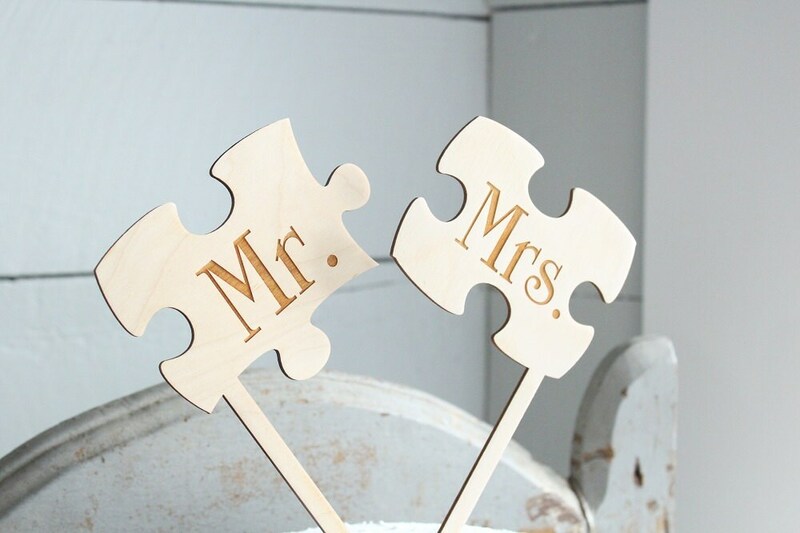 We absolutely love them and cannot wait until our wedding day to use them! Thank you for making our vision come to life! Very nice, and a big hit!